What sits at the center of your whole digital marketing strategy? All the SEO, targeted marketing, and reputation management lead back to where? It’s all about attractive site visitors who could convert to leads and, eventually, sales. Turning those visitors away through poor design should never happen, yet it happens every day on those sites that haven’t set up custom 404 error pages. You’re familiar with 404 error pages even if you don’t realize it. They’re the “Page Not Found” page that pops up when a visitor attempts to access a page on your site that doesn’t actually exist, usually because they either mistyped the Web address (their bad) or clicked on a broken link (your bad). The default 404 page is essentially an ugly mass of text that encourages your site visitor to do one thing: leave, and never come back. You see where this is going. An off-putting 404 page can directly cost you opportunities to convert site visitors, meaning it’s working directly against all of your digital marketing efforts. One obvious step to take to remedy this is to always be on the lookout for broken links on your site, but unfortunately you can’t control for visitor typos. What to do? Luckily, there is a solution: custom 404 pages. 404 pages that are both appealing to the eye and clearly state what action the user should take next (which is usually some iteration of “click the Back button”) are far less likely to scare away your site visitors. Not only that, but a well-designed 404 page also represents an opportunity on its own. An opportunity for what? Like every other customer-facing part of your website, an opportunity for further branding, lead generation, and the building of goodwill and trust with your customer base. Consider the potential value of a 404 page that, instead of just redirecting wayward visitors back to your site, actually features links to set up sales or service appointments, or prominently displays a promotion you’re currently running. Now you’ve turned the dreaded 404 page into something more like a marketing landing page, only you’re getting these clicks with minimal investment. The impact on your SEO is also an important factor to consider. Remember that search engines crawl your website by following links to all the different pages on your site. 404 pages with no links are a significant problem because when a search engine is indexing your site and hits upon one of these, it’s going to stop. That means entire sections of your site are left unindexed and won’t appear in search results. Custom 404 pages protect against this by providing links back to your site. Even better, consider linking your 404 page to a site map, making user navigation that much easier. Again, being helpful in circumstances such as these is how you build goodwill with site visitors. Most people can probably refer back to their own experience to confirm that when you land on a default 404 error page, the first thing you want to do is leave the site altogether in irritation. Neutralize this issue with custom 404 pages that take advantage of the visitor’s accidental presence to create new leads, demonstrating your commitment to user experience and boosting your SEO along the way. It’s a win-win-win! Questions about 404s or any other dealer website issues? 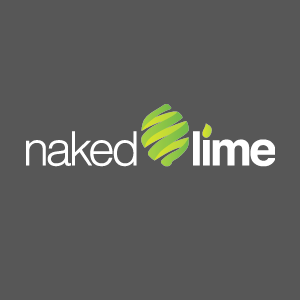 Contact one of our experts at 855.NKD.LIME or info@nakedlime.com.